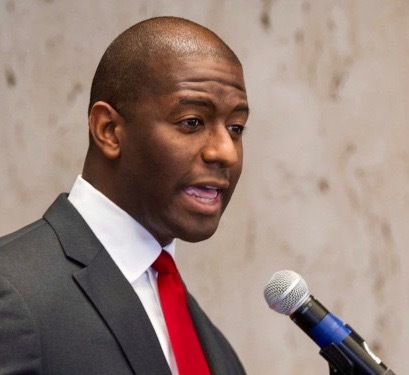 Tallahassee Mayor Andrew Gillum will win the Democratic nomination for governor of Florida, CNN projects, scoring a major victory for the party’s progressive wing while taking another step toward becoming the state’s first black chief executive. Backed by Vermont’s independent Sen. Bernie Sanders and a coalition of progressive groups, Gillum upset former Rep. Gwen Graham, who had led in the polls for most of the campaign. He led a field of five competitive candidates in which he was the only non-millionaire — and only supporter of “Medicare for all” single-payer health care. 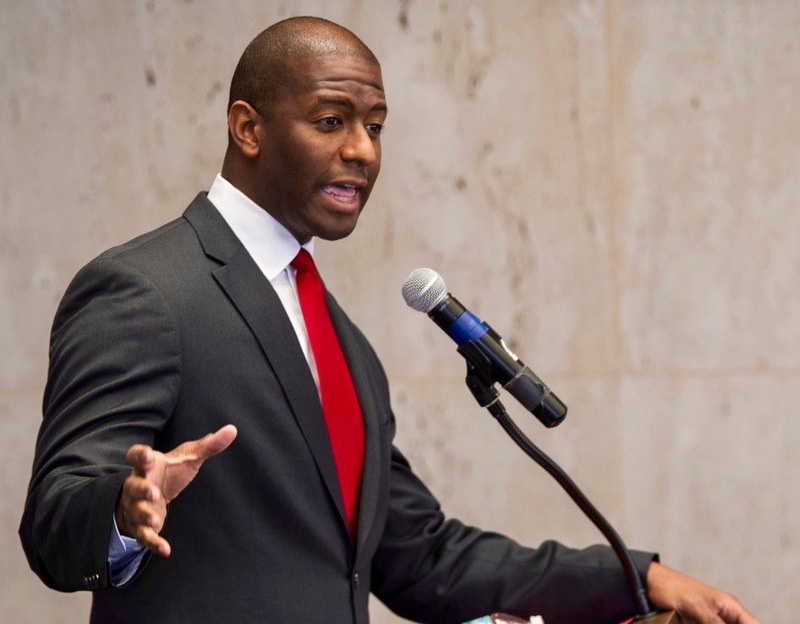 Gillum is the first black candidate to win a major-party gubernatorial nomination in Florida. His victory sets up Florida, the biggest swing state in presidential elections, as a major test of the political atmosphere this fall. Gillum will face Rep. Ron DeSantis, a Trump-endorsed Republican, in a race that pits two 39-year-olds, who in many ways mirror their parties’ national moods, against each other. DeSantis defeated Adam Putnam, the state agriculture commissioner, CNN projects. His win was expected — but Putnam had entered the race as the establishment favorite and raised more money than DeSantis. DeSantis’ victory proved the power of Trump’s endorsement in swaying GOP primary voters. Gillum’s victory, though, came as a stunner in a wide-open contest. Democrats in the race, including billionaire Jeff Greene and wealthy former Miami Beach Mayor Philip Levine, spent more than $100 million for the chance to wrest back control of the governor’s mansion, which has been in Republican hands for two decades. Gillum got a late boost when liberal megadonors Tom Steyer and George Soros led a group that donated $650,000 to his affiliated political action committee. The governor’s race is one of two major statewide contests in Florida in November’s midterm elections.